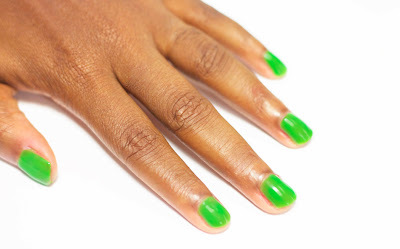 Step 1: Start by painting one to two coats of green polish onto your nails. Let polish dry completely before moving to step 2. 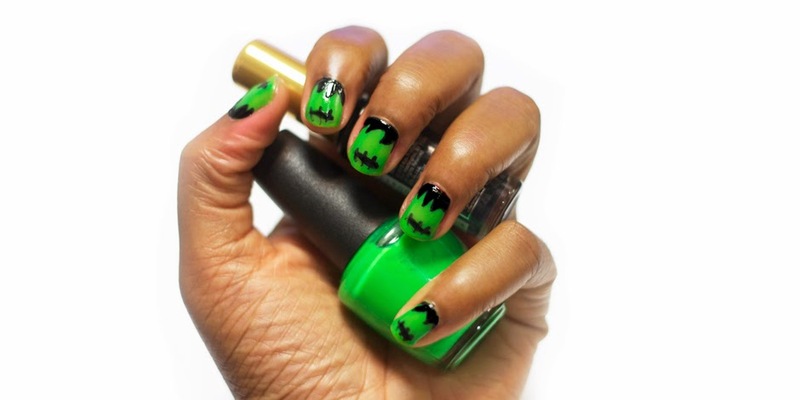 Step 2: Add Frankenstein's hair by drawing a few random triangles at the base of your nails with a nail art brush. 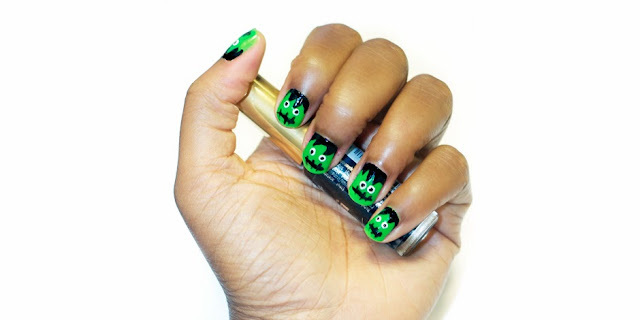 STEP 3: Use the same nail art brush or pen to draw the mouth. Start by painting a short straight line at the tip of your nails. Complete the mouth by painting a few short vertical lines on top of the horizontal line. 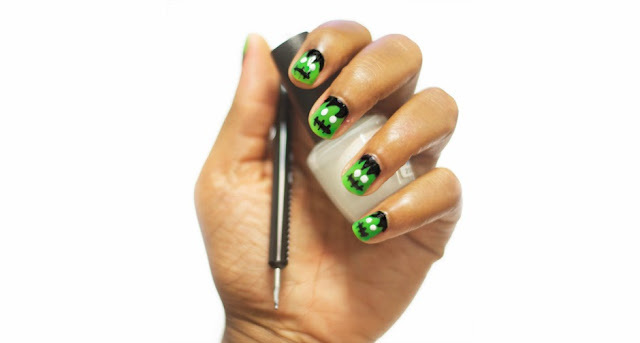 STEP 4: Using a dotting tool or white nail art brush paint two small circles directly underneath the hair. 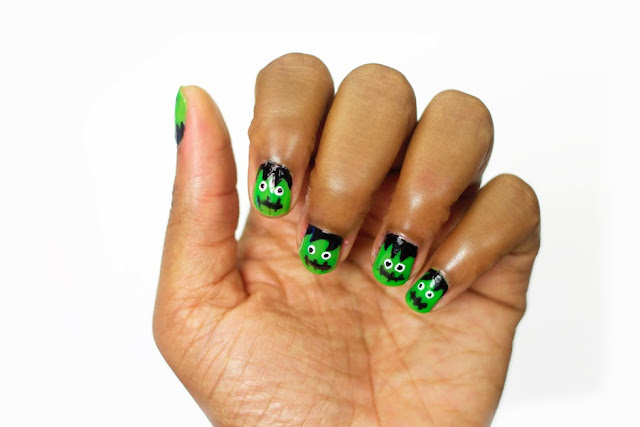 STEP 5: With the black nail art brush you'll gently dap some polish into the center of the white dot to create the eyes.